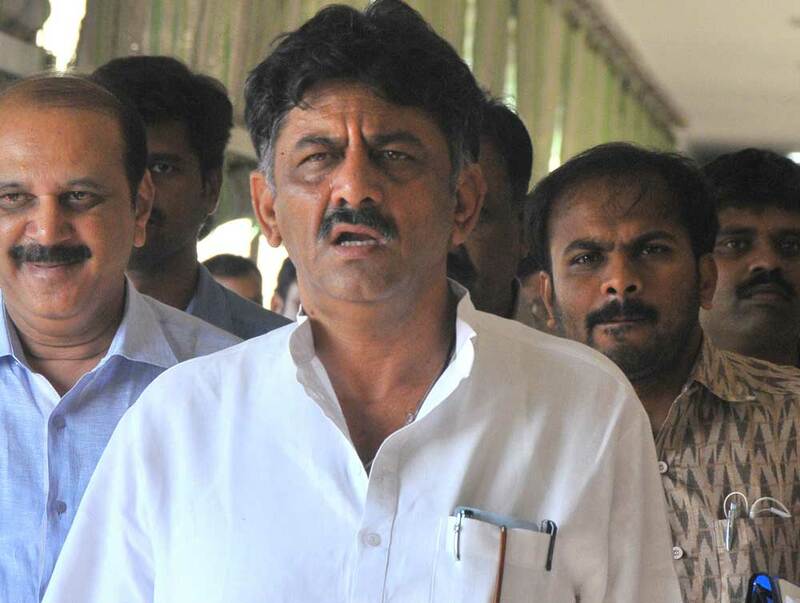 Bengaluru: Income Tax department officials are conducting searches at 10 locations in Bengaluru, Chennai and Delhi as a follow up to raids at various properties linked to Karnataka Minister D K Shivakumar earlier this month. “Searches and surveys are being conducted at 10 places in Bengaluru, Chennai and Delhi. All related to the D K Shivakumar case,” IT department officials said. According to officials, the places searched included the home of KPCC member Vijay Mulgund. In a swoop down that had stirred a political controversy, the IT department had in the first week of August raided various properties linked to Shivakumar, who hosted 44 Gujarat Congress MLAs at a resort on the city outskirts, to thwart “poaching” attempts by the BJP ahead of Rajya Sabha polls in that state. During the raids that went on for three consecutive days, at about 66 places across the country, officials said they had seized cash and jewellery, worth over Rs 15 crore. The IT department is yet to make an official statement on the outcome of the raids, which had been described by the ruling Congress in the state as “political vendetta” and an attempt to “browbeat” opponents.